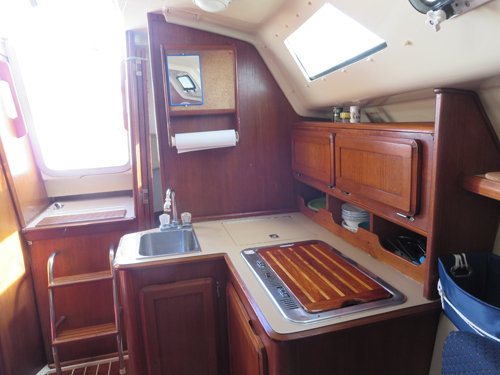 The Hunter 28 is a very comfortable vacation cruiser. 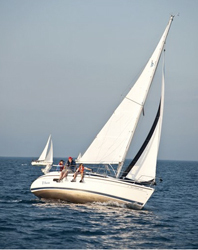 It responds well sailing or motoring. 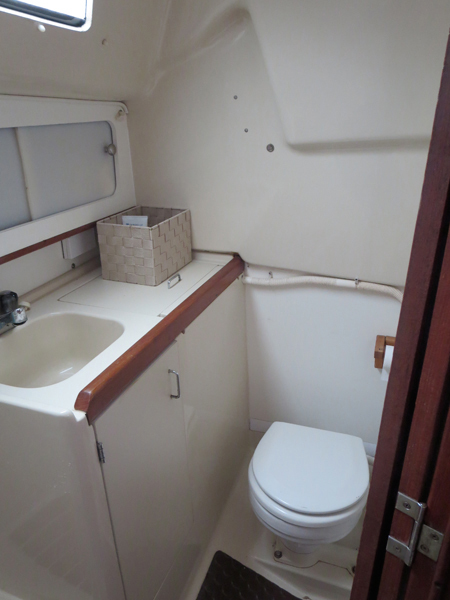 It has all the comforts of home for cruising with an interior that is roomy and bright. 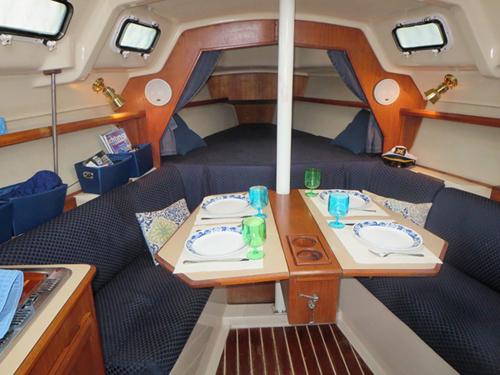 The dinning table sits 4 comfortably. 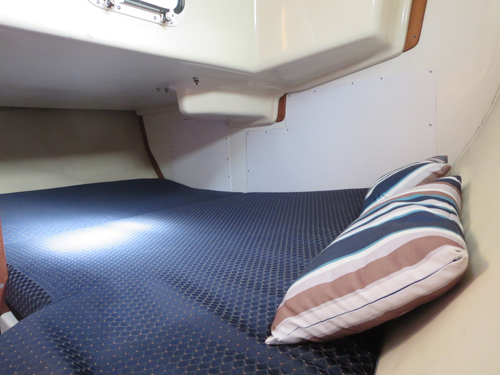 The forward V berth and back aft cabin are both double beds. 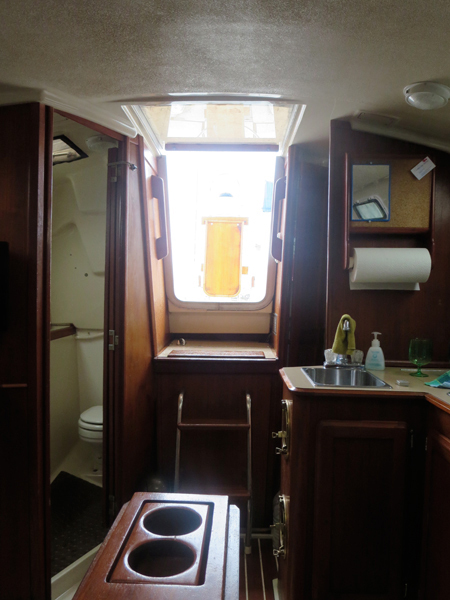 A big attraction for most cruisers is the walk thru transom and swim platform giving you easy access to the water. It’s like having your own dock on the lake. 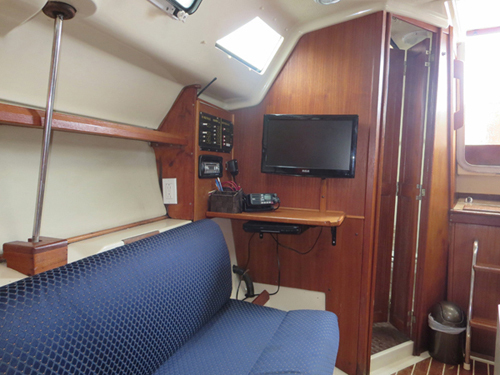 The cockpit handles 4 crew easily and has a folding teak table for morning coffee or afternoon refreshments. 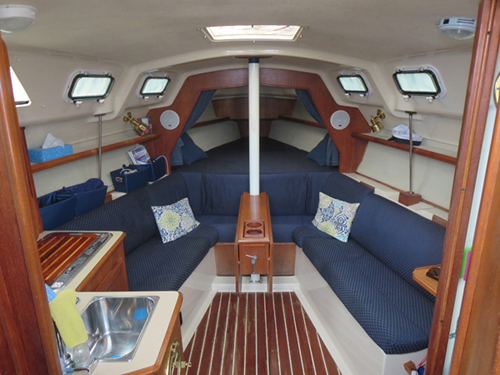 This sailboat is perfect for 1-2 couples or a family of 4.